Given how turbulent the world feels right now, I’m been extra focused lately on keeping my energy grounded so I can better respond to all of life's ups and downs with a greater sense of grace and ease. This may sound counterintuitive, but the more grounded we can stay, and the more peacefully we react to situations, the more we reflect that energy into the world. One way I stay grounded is through the path of mindfulness, mediation and yoga, the other way is through food and limiting the amount of processed sugars (e.g. cane sugar) and refined carbohydrates I consume. I’m careful with packaged foods containing a large amount of added sugar per serving because research shows that consuming processed sugars in large amounts can cause a rapid increase, then decrease in blood sugar levels, leading to feelings of anxiety and uneasiness. As someone who has suffered from anxiety, limiting processed sugars has been a key change to increasing my overall well-being. Instead of processed sugars, the natural sweeteners that I like to use include maple syrup, raw honey and stevia. Stevia is my sweetener of choice. 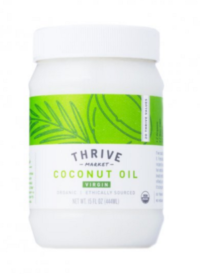 It’s made from plant leaves and has a Glycemic Index score of 0 so it does not cause a rapid increase in blood sugar levels as with processed sugars. Honey and maple syrup are both natural sugars, and are still considered low on the Glycemic Index. Honey and maple syrup are digested differently than processed sugar so they can be used as a source of fuel in the body much quicker. Maple syrup and honey also contain trace amounts of vitamins and minerals unlike processed sugars. Maple syrup contains manganese, zinc, calcium, potassium, iron, and magnesium while honey contains antioxidants, iron, zinc, potassium, and calcium. I love making and finding gluten-free and processed sugar-free healthier options to some of my favorite childhood foods (checkout my Sunbutter Gluten-Free Cookies) but I’ve yet to master my own granola recipe and most store bought brands just don’t cut it. Despite the healthy claims on conventional granola boxes, most are high in refined carbohydrates and processed sugars. 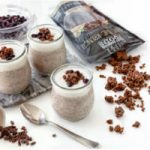 I absolutely love a good, crunchy granola so when Paleo Passion Foods approached me to try their line of Krave the Krunch granola, I knew I had to give the product a shot. It did not disappoint! 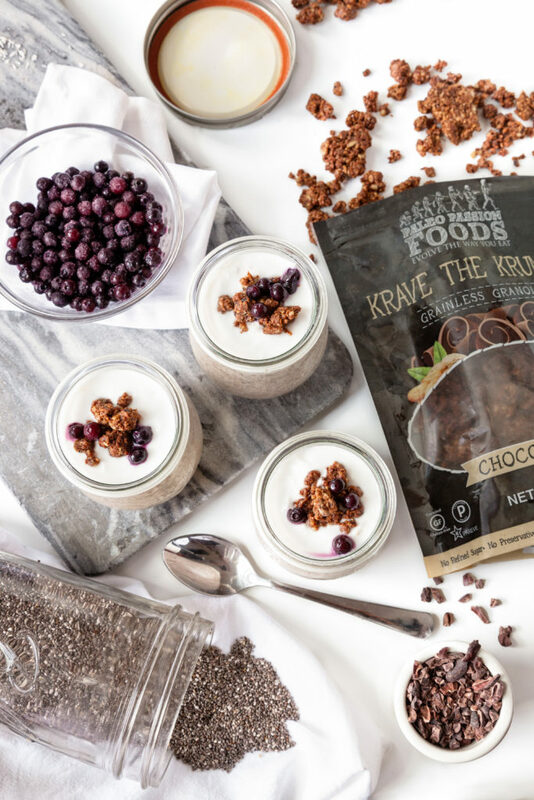 Krave the Krunch grainless granola comes in three flavors: Caribbean Coconut, Choco-Nuts and Maple Cinnamon and is gluten-free, GMO-free and grain-free. It is also lower in sugar (uses only natural sweeteners), includes healthy fats such as omega-3s and is higher in protein than regular granola. The base of the product uses a mix of nuts and seeds instead of oats, including walnuts, almonds, and pecans as well as pumpkin, sunflower and flax seeds, making it packed with healthy fats and omega-3 fatty acids. Wildflower honey and maple syrup are used as sweeteners. In addition to opting for foods with natural sweeteners, I also look for foods containing omega-3 fatty acids since they’ve been shown to have numerous health benefits, including decreasing the risk of anxiety and depression. 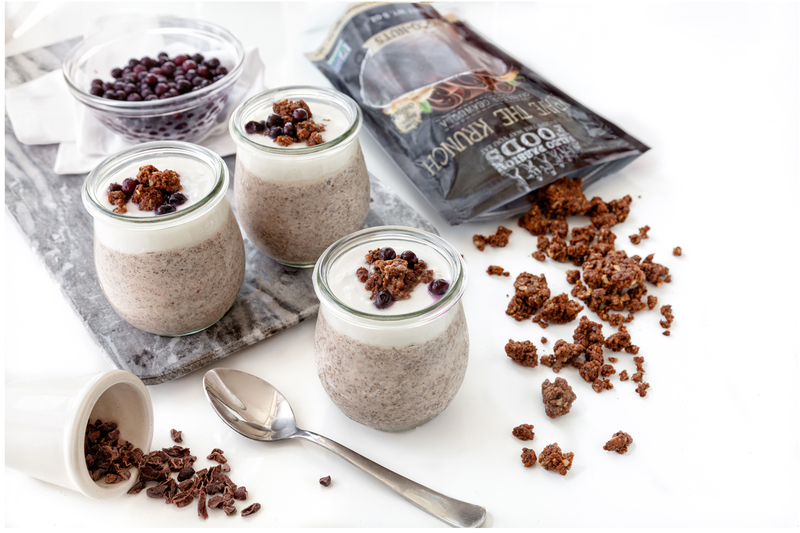 I created a fun paleo chocolate chia pudding recipe using Paleo Passion Foods granola that I like to have as a late afternoon snack if I’m craving something sweet but want to keep my blood sugar stable. 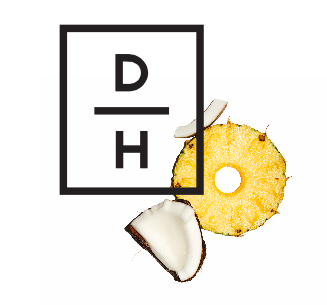 Paleo Passion Foods has also been kind enough to provide my readers with a discount code.  Use code “Kerri” for 15% off plus free shipping on all purchases at PaleoPassionFoods.com. Leave a comment below if you make the recipe or if you order Krave the Krunch grainless granola. I’d love to hear your thoughts! 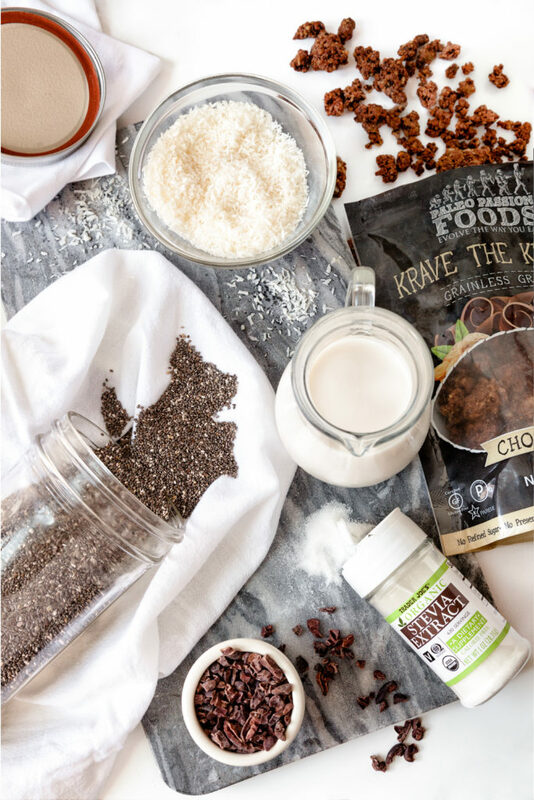 Thank you Paleo Passion Foods for sponsoring this post and thank you for supporting the brands that make this blog possible. As always, opinions are my own.